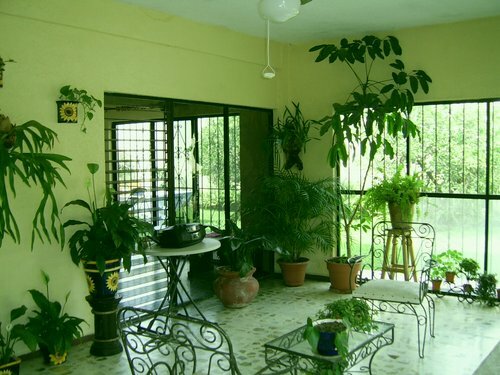 There are many reasons for creating an indoor garden – significant among them is the need to clean the toxins from our homes and offices. Today’s homes and offices are built to conserve energy and the outcome has been a lack of air exchange, with the resulting increase of indoor air pollution. The World Health Organization has stated, “there’s probably more damage to human health from indoor pollution than from outdoor pollution.” Symptoms associated with indoor pollution include allergies, asthma, eye, nose, and throat irritations, fatigue, headache, nervous system disorders, respiratory and sinus congestion. In today’s society more and more people exhibit these symptoms as a result of staying indoors the majority of the time. One of the ways we can change this predicament is to become knowledgeable about and responsive to the environment that we live and breathe in. 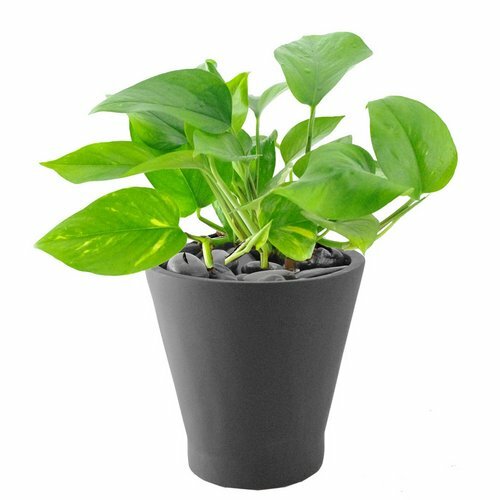 Research by NASA showed that some house plants are more efficient in filtering out toxins than others. Foliage plants give us the opportunity to not only provide the calming influences of nature in our homes and workplaces, but also provide us with the oxygen we need to live. The sources of chemical emissions that cause indoor air pollution include: acetone, alcohols; ammonia; benzene; chloroform; formaldehyde; and xylene. – Helping to maintain humidity levels: Dry indoor air is blamed for a host of respiratory problems, particularly in the winter, and plants emit water vapor during transpiration. 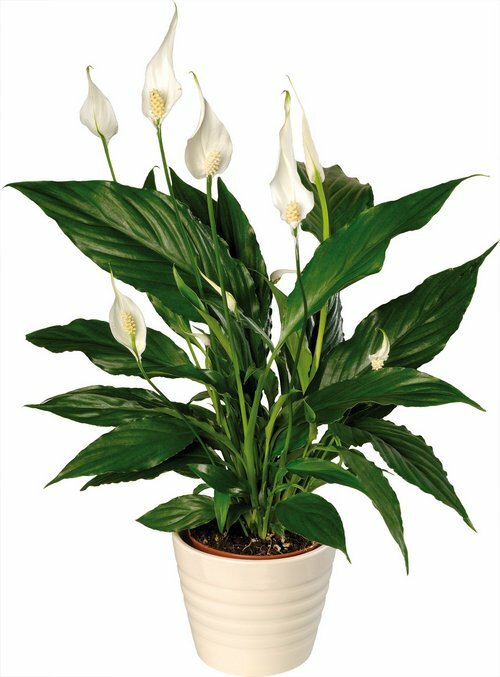 – Producing negative ions: Plant leaves produce negative ions, similar to many air purifying machines. Negative ions attach themselves to (and effectively remove) particles such as dust, mold spores, bacteria, and allergens. The presence of negative ions is credited for increasing psychological health, productivity, and overall well-being. 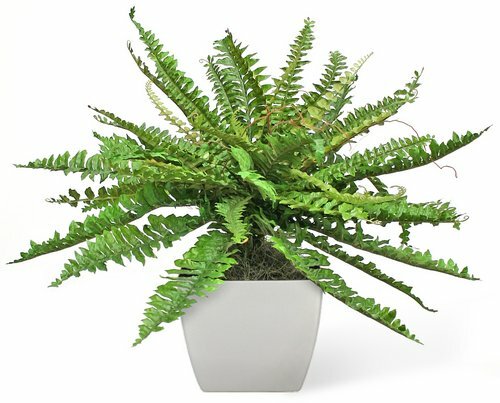 Aloe vera (Aloe barbadensis) – removes chemical vapours; Arrowhead vine (Syngonium podophyllum) – removes chemical vapours; Azalea (Rhododendron simsii hybrids) – removes chemical vapours; Boston fern (Nephrolepis exaltata ‘Bostoniensis’) – the best fern for removing air pollutants; Chinese evergreen (Aglaonema modestum) – removes chemical vapours; Christmas cactus (Schlumbergera ‘Bridgesii’) – removes chemical vapours; Cyclamen (Cyclamen persicum) – removes chemical vapours; Dracaena (Dracaena deremensis ‘Janet Craig’) – best of the dracaenas for removing chemical toxins from the indoor environment; Dracaena (Dracaena deremensis ‘Warneckii’) – especially effective for the removal of benzene; Dracaena (Dracaena marginata) – among the best plants for removing xylene; Dracaena (Dracaena fragrans ‘Massangeana’) – especially effective at removing air toxins such as formaldehyde; English ivy (Hedera helix) – particularly effective at removing formaldehyde; Florist’s mum (Chrysanthemum x morifolium) – one of the best flowering or seasonal plants for removing formaldehyde, benzene, and ammonia from the atmosphere; Golden Pothos (Epipremnum aureum) – removes chemical vapours; Miniature date palm (Phoenix roebelinii) – one of the best palms for removing indoor air pollutants, especially effective for the removal of xylene; Peace Lily (Spathiphyllum wallisii) – excels in the removal of alcohol, acetone, benzene, and formaldehyde; Red emerald philodendron (Philodendron erubescens) – one of the best philodendrons for removing indoor air pollutants; Snake plant (Sansevieria trifasciata) – good for removing chemical vapours; Spider plant (Chlorophytum comosum ‘Vittatum’) – effective for removing indoor air pollutants as well as chemical vapours; and Wax begonia (Begonia semperflorens) – good for removing chemical vapours. These are some of the plants known to contribute to healthy air quality in our homes, buildings, and offices. Some plants may be better than others are but all plants clean the air as they beautify our surroundings and add oxygen and humidity to the indoor environment.